Egyptian stock market concluded the week with gains estimated at 7.5 billion Egyptian pounds (US$401 million) on foreign buying appetite. The market capitalisation reached 629.669 billion pounds during the closing session of Thursday. 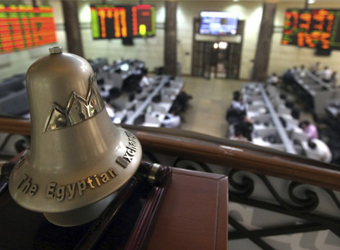 Egypt’s benchmark index, EGX30 climbed 1.03 percent to 13223.9 points. The EGX50 EWI index soared by 1.97 percent to 2040.77 points. EGX20 increased by 1.69 percent to 13311.08 points. In addition, the mid- and small-cap index EGX70 jumped by 1.34 percent to 473.1 points. The price index, EGX100 inched up by 1.67 percent to 1154.37 points. On Thursday, the bourse’s trading volume has reached 519.416 million securities, with turnovers closed at 1.908 billion pounds, exchanged through 40,227 thousand transactions. Also during the closing session, 175 listed securities have been traded in; 27 declined, 121 advanced; while 26 kept their previous levels. Egyptian and Arab investors were net sellers on Thursday seizing 74.35 percent and 12.58 percent respectively of the total markets, with a net equity of 94.949 million pounds and 14.476 million pounds, respectively, excluding the deals. On the contrary, foreign investors were net buyers getting 13.07 percent of the total market, with a net equity of 109.426 million pounds, excluding the deals. 80 Egyptian firms to join Germany’s Fruit Logistica next Feb.